In 1916 it was illegal to teach French in Ontario after grade two. In response to this law, over 200 “free schools” were established. 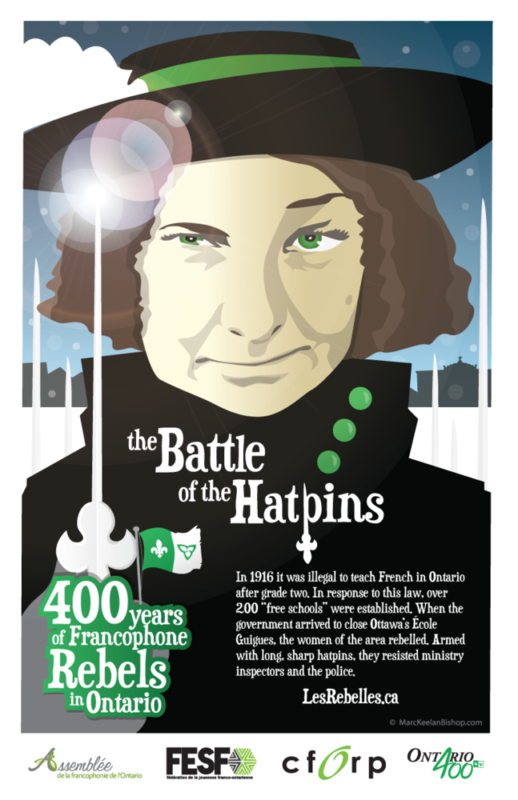 When the government arrived to close Ottawa’s École Guigues, the women of the area rebelled. Armed with long, sharp hatpins, they resisted ministryinspectors and the police.